Internationally published author K.M. 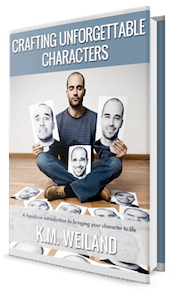 Weiland’s previous book, the award-winning Structuring Your Novel, showed writers how to create stories with strong and compelling plot structure. "Writing a novel? I highly recommend Structuring Your Novel Workbook. by K.M. Weiland." "K.M. 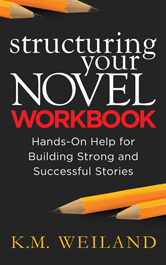 Weiland's Structuring Your Novel Workbook has been SO helpful for working out problematic scenes! Clear guideposts get you back on track!" "Just finished using K.M. Weiland's Structuring Your Novel Workbook. Fantastic."